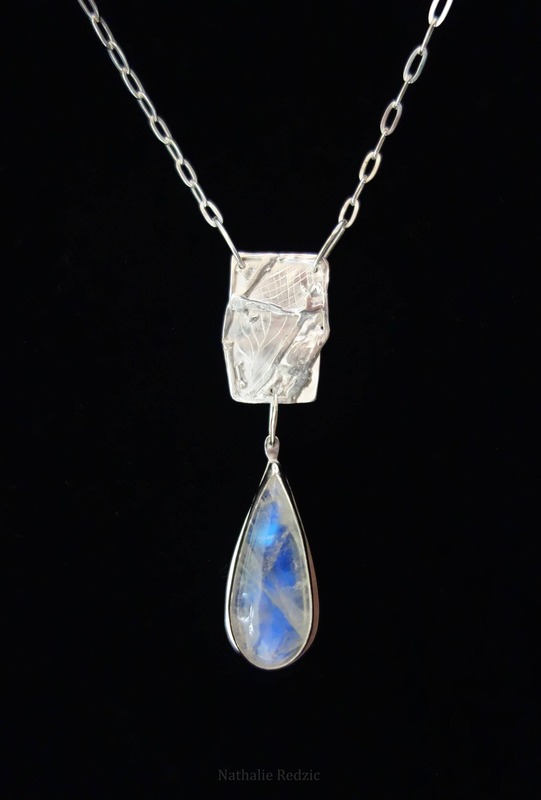 Textured with natural white labradorite or peristerite Paint silver necklace. For women. 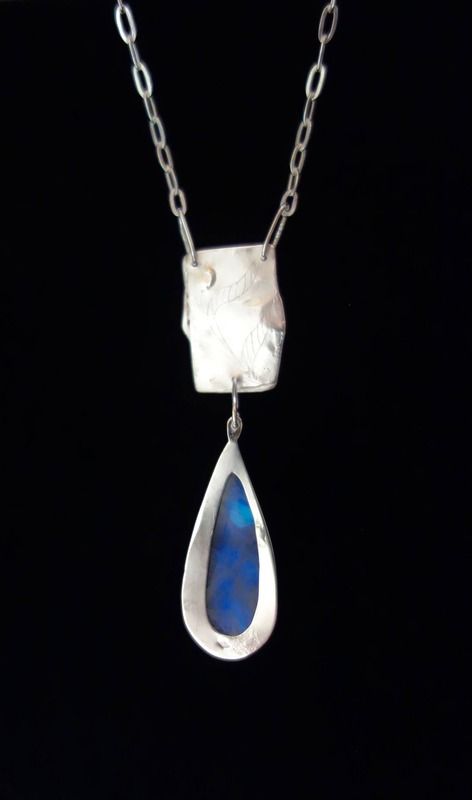 Textured with natural white labradorite or peristerite "Paint" silver necklace. For women. 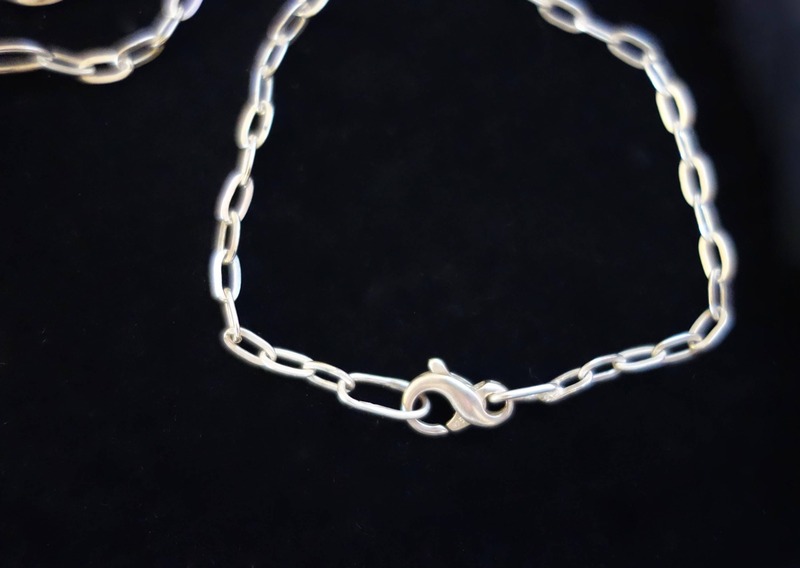 Necklace "Paint" in silver 950/1000 and 925/1000 engraved and textured with a bit of volume. Decorative element made of silver has been created in the spirit of a table, it is stamped on both sides. 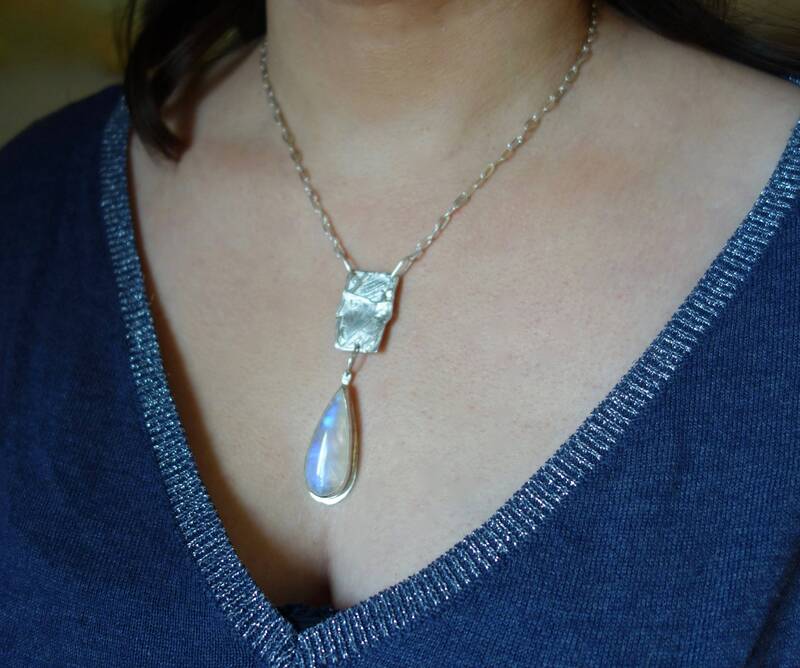 A pretty shape cabochon Teardrop peristerite or white labradorite has been crimped with a bezel setting. This gem is a unique piece entirely handmade in my Studio and stamped my mark. This necklace is very elegant and original, natural iridescence of the peristerite provide an attractive, captivating and mysterious this gem.